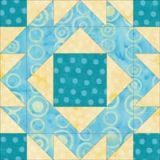 In this Economy quilt block tutorial you'll find step-by-step paperpiecing instructions with free pattern downloads in four sizes. I prefer paperpiecing in this instance for its accuracy. 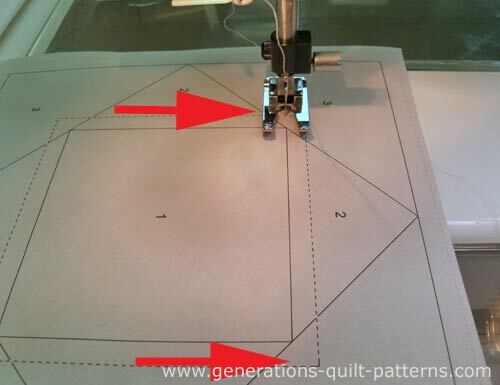 Since half the seams are on the diagonal, any deviation from a quarter inch seam is multiplied by 40%. With a paper pattern all you need to concern yourself with is stitching on the line. 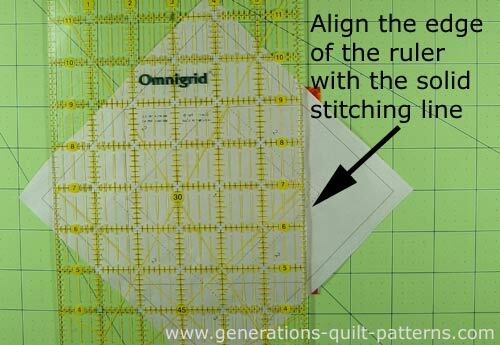 Reduce your stitch length to 15-18 stitches per inch for paperpiecing. 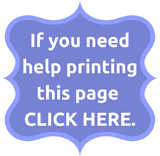 This reduced stitch length perforates the paper more making its removal at the end easier. 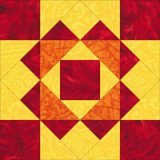 Check out our Best Technique for Pressing Quilt Blocks. 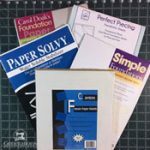 It works for paperpiecing, too! The first patch is cut to its exact size. The rest of the patches are over-sized to make their placement virtually foolproof. 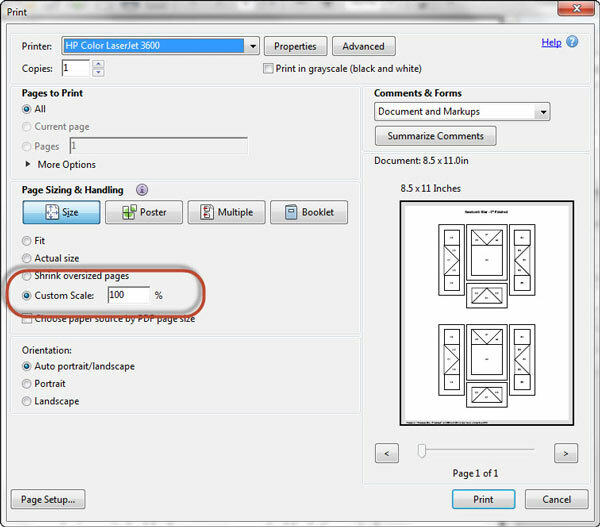 This minimizes ripping and saves time. 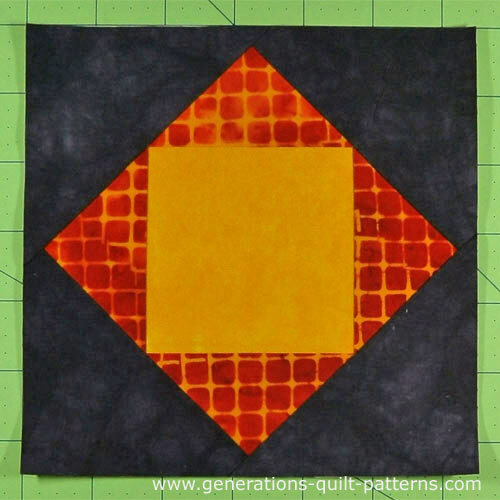 I suggest that you make a couple of blocks to test whether these sizes work for you, then make any necessary adjustments and note those changes. 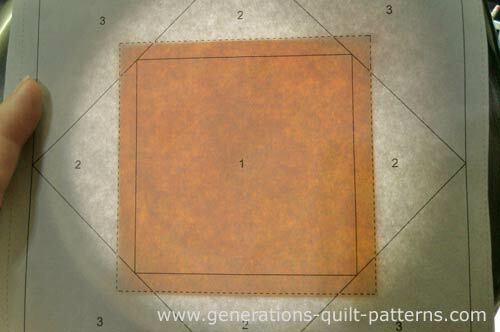 Store this customized cutting chart for future reference. 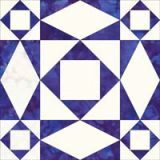 2	 B	 2	 1⅝"	x	1⅝"	 2"	x	2"	 2⅜"	x	2⅜"	 3½"	x	3½"
3	 C	 2	 2⅜"	x	2⅜"	 2⅞"	x	2⅞"	 3⅜"	x	3⅜"	 4⅜"	x	4⅜"
Cut the Economy unit from the page you downloaded. A rough cut will do, just cut outside the dotted line that marks the unfinished edge. You will trim to size in the last step. With a just a dab of Elmer's Glue Stick—the one that goes on purple and dries clear—position #1 on the unprinted side of the page. Use the dashed lines to help position it perfectly. 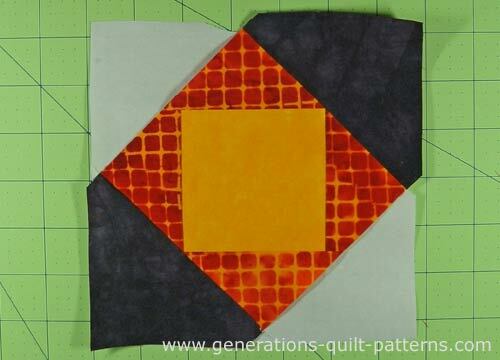 Now align the long bias edge of #2 triangle with one side of patch #1. Stitch from the printed side, starting before and ending after the solid stitching line. These extra stitches are secured with subsequent lines of stitching. The dashed lines you see are the placement lines for Patch #1. The red arrows indicate approximately where to start and stop stitching. Repeat for the opposite side of #1. 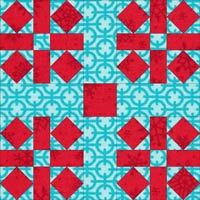 For smaller block sizes, sometimes there isn't enough room to add a patch to a PAIR of opposite sides in the same sitting. In that case, add the patches one at a time, pressing in between each. 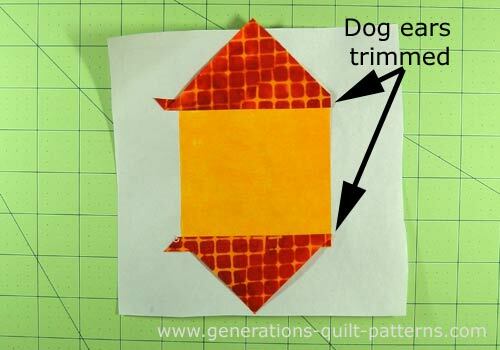 Trim the dog ears with a scissor. Repeat for the remaining two sides. At this point, I like to clean up my edges—remember the patches were cut over-sized. 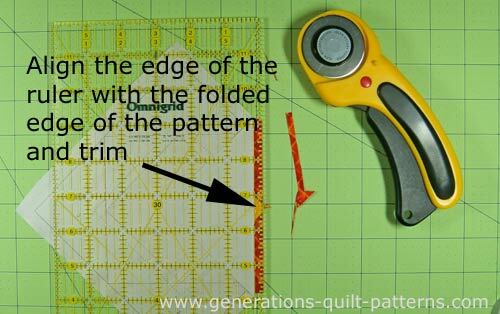 Simply line up the edge of your ruler with the solid stitching line, creasing the paper with your fingers to help fold it back on the seam line. 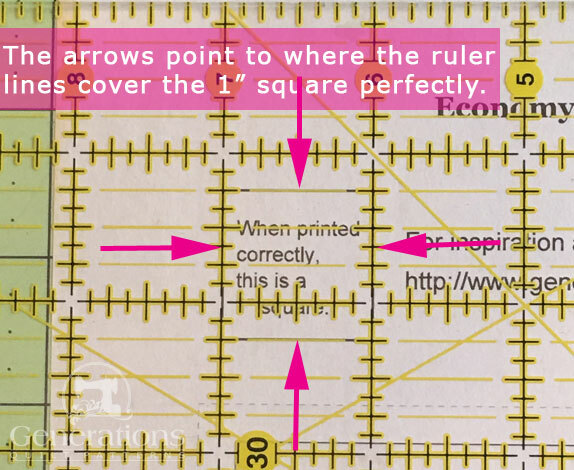 Now align the 1/4" mark with the folded edge and cut. 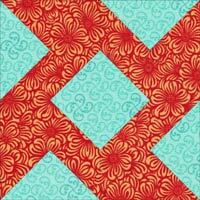 This establishes your seam allowance and perfect placement for the next patch. ...and repeat for all four sides. You're halfway there! 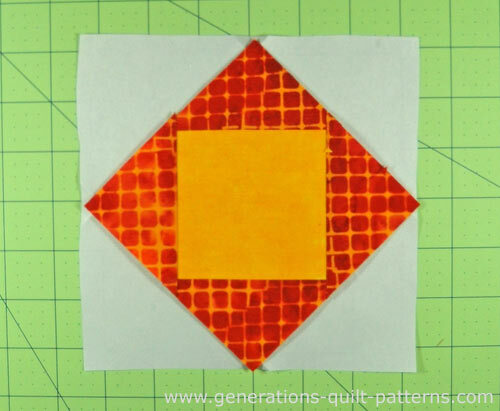 With RST, line up the long bias edge of a #3 triangle with one side of the pieced unit. Stitch the seam from the printed side, again starting and stopping a quarter inch off the solid line. Trim the dog ears and press. 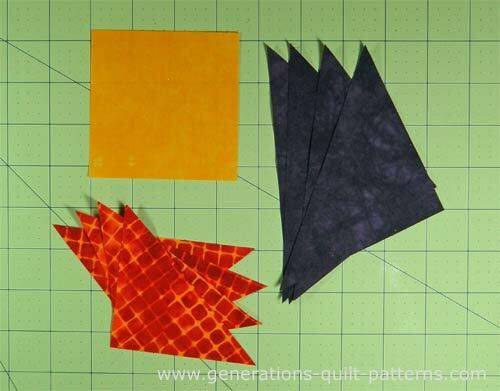 Add the final set of triangles in the same manner and press. 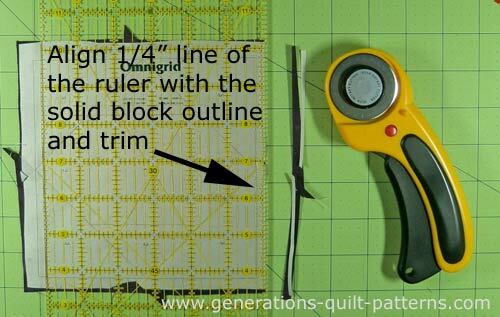 Line up the quarter inch mark of your ruler with the solid finished edge of your block. 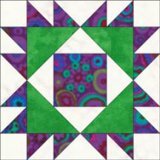 I find this much easier to do than trying to line up the edge of my ruler with the dashed-line that marks the unfinished size of the block. Cutting is more accurate. 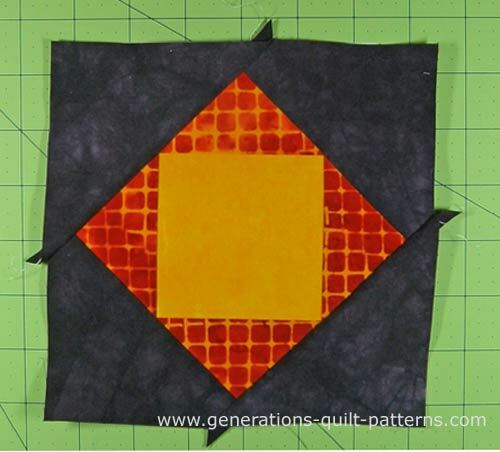 After all four sides are trimmed and the paper removed, this is your finished Economy quilt block! Several others go by the name 'Economy' but their look is totally different. The center square is split one more time in this one. 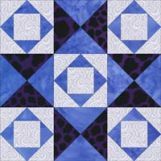 This is reminiscent of the Whirlwind quilt block, except this one has y-seams and just 'half' quarter square triangles. 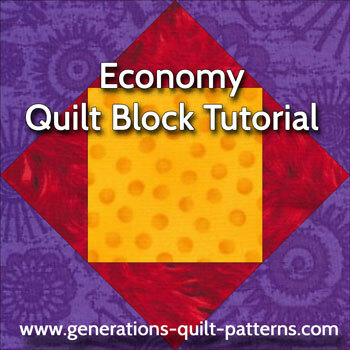 This version of the Economy quilt block is drafted as an uneven nine patch. 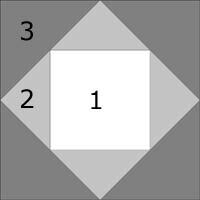 Square in a square blocks are used a dozen times in its construction. 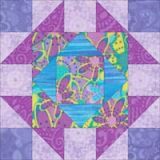 Click here to learn how to paperpiece square in a square units and/or download paperpiecing patterns for them. 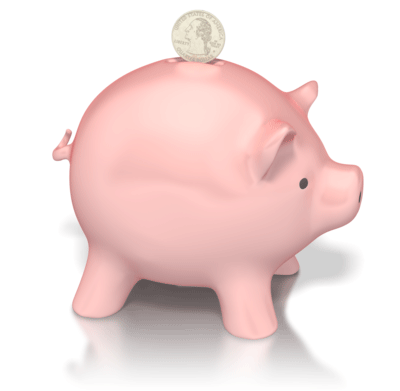 There's no need to economize! 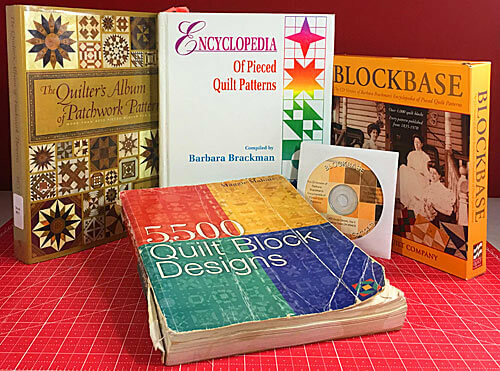 We've got plenty of blocks to keep you busy! 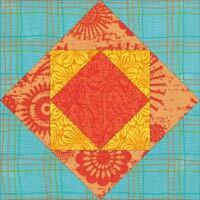 Just check out our Quilt Block Pattern Library to find one for your next quilting creation!